Isaac said to Jacob, “Come closer so I can touch you and make sure that you really are Esau.” So Jacob went closer to his father, and Isaac touched him. When Isaac caught the smell of his clothes, he was finally convinced, and he blessed his son. He said, “Ah! The smell of my son is like the smell of the outdoors, which the LORD has blessed! Then Isaac gave all of his blessings to Jacob, while he thought he were blessings Esau, Jacob’s older brother. Soon Esau came back, and Esau realized that Jacob deceived his father and got all his blessings instead. Esau hated Jacob because their father had given Jacob the blessing. 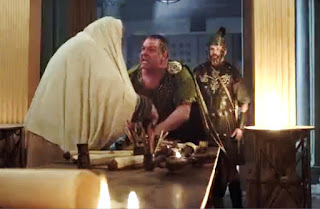 And Esau began to scheme: “I will soon be mourning my father’s death. Then I will kill my brother, Jacob.” Jacob found he could not stay home anymore. He had to leave his home, and headed for his uncle, Laban with the help of his mother, Rebekah. He was on journey to Haran, where his uncle lived. The sun was setting, and he was alone. He found a place to spend the night. He looked back what he did, which was a really terrible thing that a person should not do to his brother – deceiving his father to get the blessing of his older brother, Esau. Now, he was in a desolate place, and alone in darkness. He located a stone and then rested his head to beg a sleep. For Jacob, who was always taken cared by his mother, it was a really difficult, long and lonely night. However, Jacob knew it was all caused by his greed. His mind was filled with guilt of his past of his wrongdoing to his brother and father, and fear of uncertain future. He was not sure about whether he could arrive at his uncle’s house safely first, and what would really happen when he actually arrived at his uncle’s house: whether his uncle and family would really welcome him and treat him well or not. The merciful God did not let Jacob alone. God shorten Jacob’s struggle. It did not continue long. He suddenly fell in a deep sleep. Soon God gave him a dream. Jacob saw a stairway that reached from the earth up to heaven. 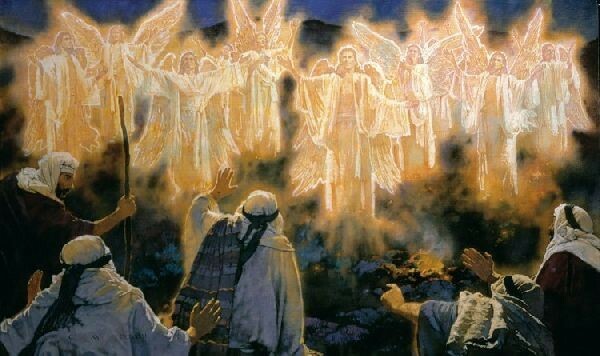 And he saw the angels of God going up and down the stairway. God came to Jacob, who was weary, exhausted, and filled with guilt and fear of uncertain future. Then God blessed Jacob! In fact, God blessed Jacob not because Jacob a righteous man, but God loved Jacob. Most of us would asy Jacob should not be blessed, but be punished for his wrongdoing – the sin against his older brother and his father. However, God blessed Jacob. Bible also tells, In the words of the Scriptures, “I loved Jacob, but I rejected Esau.” (Romans 9:13) God did love Jacob, and did reject Esau. Why? Was Jacob more righteous than Esau? Apparently, it was not. Based on what had happened, we can easily say Jacob was worse than Esau. Even so, God blessed Jacob. Yes, what God did to Jacob should be a mystery to many of us. However, this is an excellent opportunity to truly know about God, i.e., who God really is. Yes, Jacob was not a good person, who deceived his brother and his father. We don’t have to prove this. Jacob, due to his sin, had to leave his home, and he was ended up lonely in a desolate place in darkness. A severe hardship found Jacob, and Jacob was surrounded by fear and his uncertain future. He was truly helpless. However, God was carefully watching over Jacob. God knew Jacob was suffering and desperate. God could not stand still anymore. God came to Jacob, and comforted him. God even lavishly blessed him. We believe God, who came to Jacob, when Jacob was lonely and in fear of his uncertain future. The same God will find you and me when we are in trouble, lonely, desperate, because God is merciful and full of love. 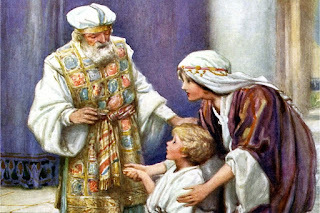 Jacob was not worthy to receive God’s blessing, but God did. The same God will bless you and me even though we are not worthy to receive his blessings. Why? God is love, and full of mercy. God never forgets His promise to His children. God promised His blessings to Abraham, Jacob’s grandfather, and Abraham’s descendants. 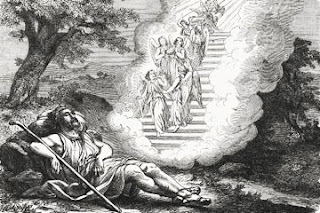 Did Jacob always remember the promised of God given to his grandfather, Abraham, and lived out his life worthy of the God’s promise? Absolutely not! Please see what Jacob did. Jacob was not worthy of receiving God’s promise and the blessing given to Abraham. Even so, God came to Jacob and blessed Jacob according to His promise given to Jacob’s grandfather, Abraham. Once God promised His blessing, He keeps His promise regardless whether His children sinned or not. This is a really profound nature of God, Our Ever-Loving Father. This is another mystery to many of us. One day, as Jesus was speaking, the teachers of religious law and the Pharisees brought a woman who had been caught in the act of adultery. They put her in front of the crowd. “Teacher,” they said to Jesus, “this woman was caught in the act of adultery. The law of Moses says to stone her. What do you say?” They kept demanding an answer, so he stood up again and said, "All right, but let the one who has never sinned throw the first stone!" Our God is merciful and full of love. As the people around the woman caught in the act of adultery, we are all sinners, which we easily forget. Even so, God is always faithful to His children regardless whether we are worthy of His blessings or not. Again, is there a single person without sin? If God only loves a righteous and sinless person, then nobody would be qualified for his blessing and love. In fact, God loves you and me although we are sinners before God and other people. Yes, God loves us not because we are sinless, but because simply we are His children. This is the biggest blessing given to all of us by God. Jesus Christ, Our Savior, Is Born. 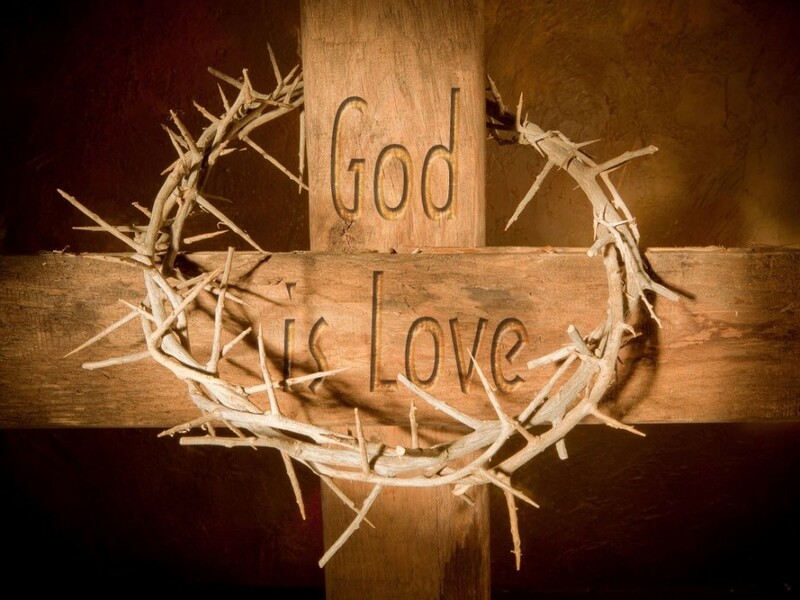 He Is Given To Us By The Love Of God! Our Savior, Jesus Christ, was born on the Christmas Day. It was the day that all humanity finally saw the light of salvation that had been waited since the dawn of our humanity. 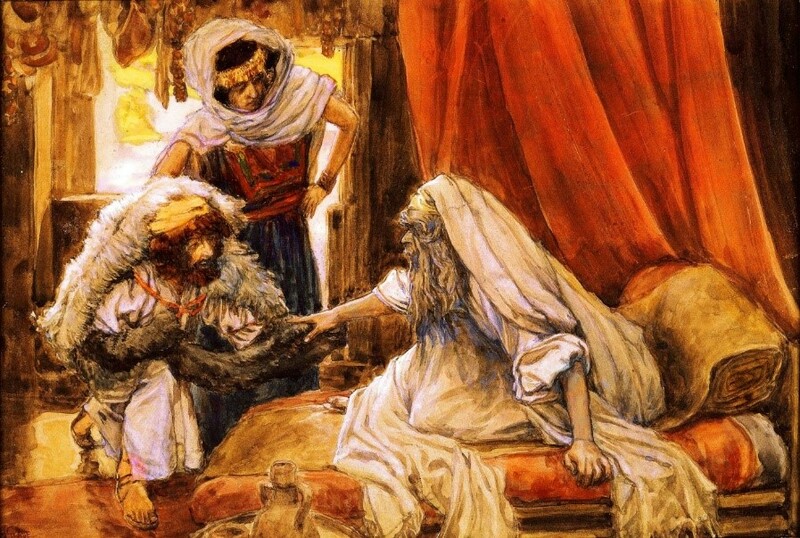 Even the first family was tainted by an extreme jealousy of one son, Cain, who killed his own brother, Abel. From that time, no real peace among people and with God had been found. Since then, our fallen nature has been continuously working in us. Whenever there is a slightest opportunity, our fallen and sinful nature seizes the moment and drives us to a place that we don’t want to go. Apostle Paul lamented, “Oh, what a miserable person I am! Who will free me from this life that is dominated by sin and death?” (Romans 7:24) Absolutely right, nobody has ever overcome and completely destroyed our sinful nature in us by our own might. Yes, we want to do what is right, we sooner or later, inevitably do what is wrong. We love God’s law with all our hearts. But there is another power within us that is at war with our own mind. Then we often witness that this power makes us a slave to the sin that is still within us. This is the nature of us and the power of sins that we cannot deny. How to get out of this vicious cycle of our misery induced by our sinful nature? As we, natural human beings, this is not possible. If it were possible, we, human beings, already have had achieved a true peace among people and with God. When I look around, I don’t see any signs or hints of breaking this vicious cycle of our misery. We need a help. A real help that is bigger than us, which is powerful enough to plug out us from the vicious cycle. In fact, this is the common yearning of all humanity from the dawn of our human history – searching and waiting for salvation from our sinfulness. Then Herod called for a private meeting with the wise men, and he learned from them the time when the star first appeared. Then he told them, “Go to Bethlehem and search carefully for the child. And when you find him, come back and tell me so that I can go and worship him, too!” After this interview the wise men went their way. 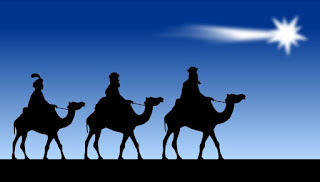 King Herod did never see them again because God told the three wise men not to return to King Herod, and to go back their own country by another route. The star they had seen in the east guided them to Bethlehem. It went ahead of them and stopped over the place where the child was. When they saw the star, they were filled with joy! They entered the house and saw the child with his mother, Mary, and they bowed down and worshiped him. Then they opened their treasure chests and gave him gifts of gold, frankincense, and myrrh. They brought three gifts that signifies who Jesus was and what He would do for the entire humanity. Gold: Jesus is the true king of kings forever. Frankincense: Jesus is the true God in human form, i.e., His deity, and Myrrh: Jesus is the sacrificial lamb of all our sins so that all of us have the ultimate atonement with God. Although King Herod and the entire Jerusalem was troubled by the birth of Jesus, our Savior and Eternal King, the three wise men from the far east was in a great joy by finding the new born king and presenting the gifts foretelling the truth about the new born king, Jesus Christ. Although King Herod and the people around him tried to eliminate Jesus, God sent the three wise men to worship the new born king from their hearts. The sinful human nature directly collided with God’s love to the world, which is unfathomable. God is love. Although He cannot tolerate sins, He still dearly loves us. Why? His love is greater than all our sins. Jesus Christ and His birth is the proof. Therefore, regardless who we are, or no matter what we did, through the blood of Jesus Christ, we are forgiven and accepted as His own children if we believe in Him. Yes, God wants only one – believing in Him. 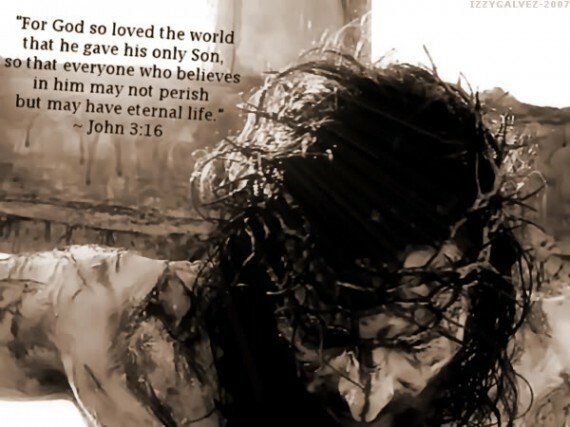 God loved us so much that He gave His one and only Son. Believing Him means believing that God loves us and our salvation comes through Jesus Christ Some of us might question how is this possible? Yes, the power of sin is much stronger than us, the God’s love is stronger. Because of His love toward us, God sacrificed His own begotten son to take away all of our sins. 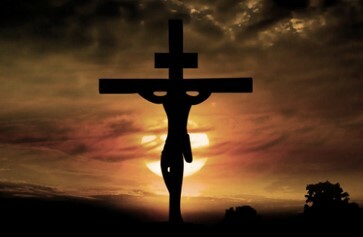 The cross on which Jesus Christ died is the proof. This is our assurance to our salvation in Him. Give thanks to God, who did not spare His own son and sacrificed Him, will never forsake us, and will be our eternal ever-loving Father. Yes, all our sins are forgiven our sins, and we become His eternal children. This is done, because God is Love! Give thanks God, and offer our highest praises and honor. Praise Him. His faithful and unfathomable love endures forever, and we are taking our eternal refuge in Him and in His Love! Our Savior, Jesus Christ, The Humble King, Was Born In A Manger! Mary’s pregnancy was a serious disgrace to Mary’s pregnancy was a serious disgrace to Joseph. Before the marriage took place, while she was still a virgin, Joseph realized that she was pregnant. Joseph, her fiancé, was a good man and did not want to disgrace her publicly, so he decided to break the engagement quietly. 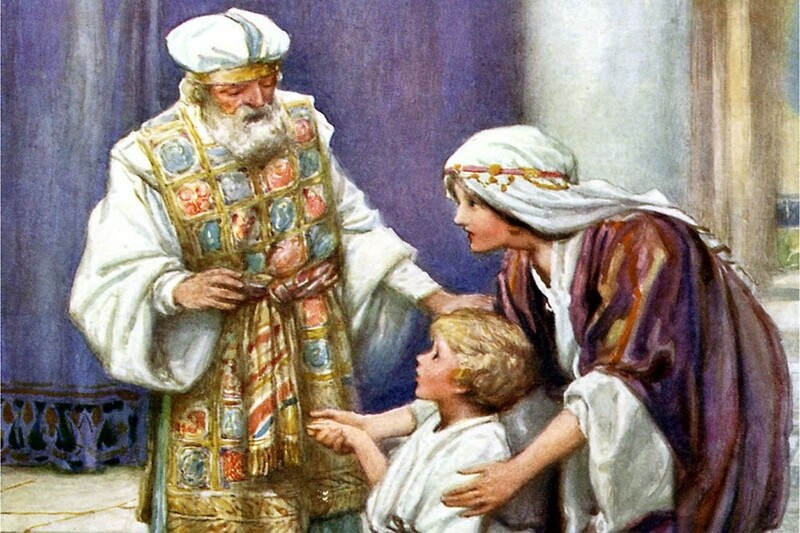 When Joseph woke up, he did as the angel of the Lord commanded and took Mary as his wife. Joseph became faithful to God and Mary following God’s message in his dream. They together arrived in Bethlehem. It was getting dark. They tried to find a room in Bethlehem to stay, but there was no room available for them. They knocked door after door, but nothing was available. In the end, they had to spend that night in a stable with animals, and they settled down in the stable. While they were there, the time came for her baby to be born. She gave birth to her first child, a son. She wrapped him snugly in strips of cloth and laid him in a manger. 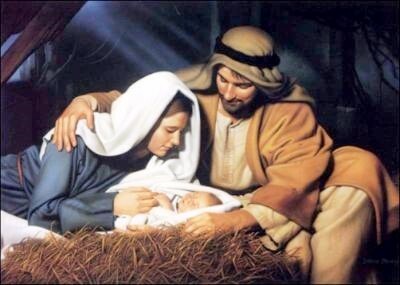 The King of kings and our Savior, Jesus Christ was born, and just Joseph and Mary were there in a winter night. It was the scene of the birth of Jesus Christ. Why was Jesus born in a stable instead of in a palace like a king? It is a true sign of the gracious God, who is full of mercy and love. Although kings of earth rule over people with power and strength, our Lord Jesus Christ was a humble king ruling over us with his humility, love and mercy. The new born king was not selfish, and did not try to impress others. From the birth, Our Lord Jesus Christ magnified the true nature of our gracious and merciful God, who so loved us that He gave His one and only Son, Jesus Christ, that whoever believes in Him shall not perish but have eternal life. (John 3:16) Yes, God wants our belief in Jesus as the savior. This is the Good News to all of us. This Good News was not proclaimed by an authoritative voice, but as a new born baby in a manager in a stable, which is not a place for humans, but animals. “Look at my Servant, whom I have chosen. At that time, nobody in Bethlehem knew the new born baby in the manger was Jesus Christ, as foretold by many prophets, who would give hope and save them by forgiving all sins and transgressions to other humans and God. 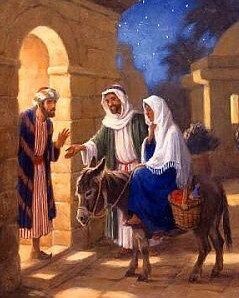 They hurried to the village and found Mary and Joseph. And there was the baby, lying in the manger. 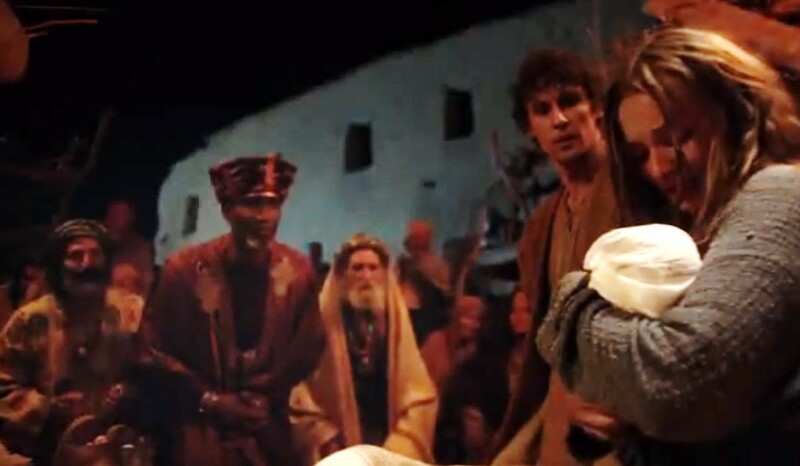 After seeing him, the shepherds told everyone what had happened and what the angel had said to them about this child. All who heard the shepherds’ story were astonished. The shepherds went back to their flocks, glorifying and praising God for all they had heard and seen. It was just as the angel had told them. Yes, our savior, Jesus Christ was born on the Christmas day about 2000 years ago. This Good News has been told again and again generation after generation since the shepherds told to people in Bethlehem. Today we are telling the very Good News. Our Savior, Jesus Christ was born, who came as a humble king, not to be served but to sever others and to give His life as a ransom for many (Mark 10:45b). This is the amazing love of God, which is given to everyone. Give thanks to God! His mercy is greater than our sins, and His grace is unfathomable. Praise Him. His faithful love endure forever! 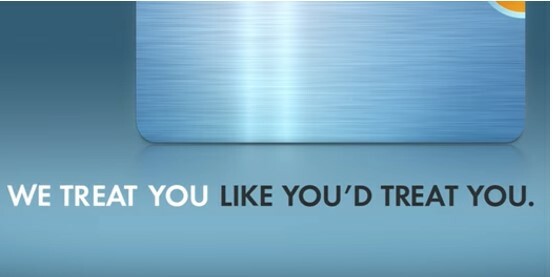 What really Jesus means: "Do to others what you would have them do to you"
One credit card TV commercial says “We treat you like you’d treat you.” Then it shows a short story about one card holder, who calls the credit card company. The call was answered by one of the credit card company agents, who is really kind and understanding, and provides the exact service that the caller needs. After all, the credit card company agent is self or a twin. 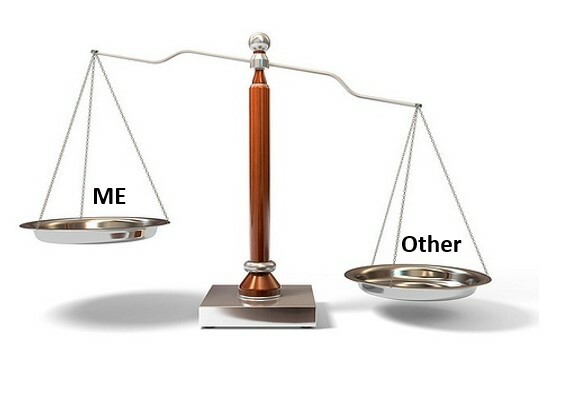 Thus, the agent knows exactly what the caller needs, and provides precisely what the caller needs What a service! No other credit card company cannot match this kind of services. This is the message that the credit company tries to convey. Of course, this is a just TV commercial. Nobody expects his/her call is answered by himself/herself, when he/she calls a credit company for service. However, this TV commercial touches on the very heart of all of us. We want to be treated by others in the way that we really want. This is the selfishness of our nature. We all want first others to do something that we want before we are doing what they want. Jesus Christ knew exactly the selfishness of human hearts, and Jesus told to the people around Him, “So in everything, do to others what you would have them do to you.” Rather than expecting to receive from others, do to others first what we would have them do to us. Then what does really mean? If this verse is pictorially drawn as a scale, it would look like the figure on the left. Then what would be really look like if we treat others better and important than us in our lives? Apostle Paul gave one great example. He said, “So if what I eat causes another believer to sin, I will never eat meat again as long as I live—for I don’t want to cause another believer to stumble.” (1 Corinthian 8:13) At that time, the market sold meat from multiple sources. Some meat products were actually offered to idols before being brought out to market to be sold. Some were accustomed to thinking of idols as being real, so when they ate food that had been offered to idols, they thought of it as the worship of real gods, and their weak consciences were violated. In fact, it is not a problem of the person who eats the meat purchased from the market, which happened to be offered to idols, but those who had weak consciences. 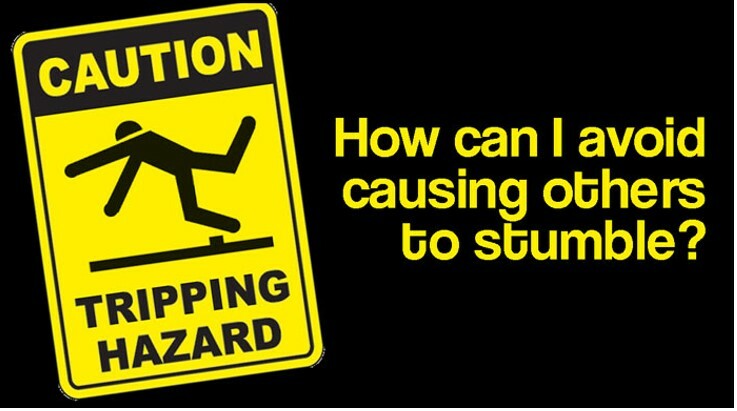 In other words, one’s perfectly good deed can effect negatively by making them stumble. Let's examine what Apostle Paul said. First, he pointed back to God and questioned: whether did his action pleased God or not. 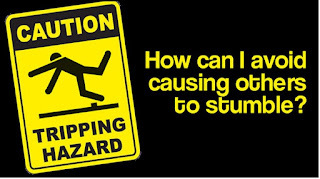 He concluded that it would not win God’s approval if he made stumble a weaker believer. Then he analyzed about his own freedom. He could eat meat offered to idols because idols are nothing. Even so, if he ate such meat, what would be his gain? If he did not eat, what would be his lose? In either case, the consequence was nothing if compared with making a weaker believer stumble by his own freedom. 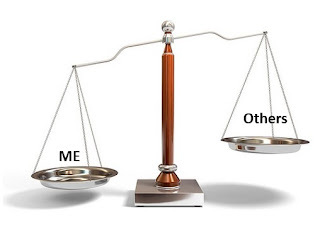 Then he concluded “So if what I eat causes another believer to sin, I will never eat meat again as long as I live—for I don’t want to cause another believer to stumble.” (1 Corinthian 8:13) Refraining from one's favorite for others is really a tall order. It is not possible unless we truly care about others, especially those who are weaker than us, while considering them better and more important than us. Jesus said “Do to others as you would like them to do to you, " then He continued in the book of Luke, “If you love only those who love you, why should you get credit for that? Even sinners love those who love them! Love your enemies! Do good to them. (Luke 6:32 and 36a) Jesus included enemies in the category of others, of whom He told to think better and important than us. This was not a just teaching of Jesus, but Jesus actually lived out his teaching. Jesus took the cross for those who were against Him, who shouted for Him to be crucified. He also loved those who nailed Him on cross, while praying for forgiveness of their sins. Then He died on the cross for the sins of all of us. Yes, He has no sin at all, but He died on the cross of us, who are sinful and stubbornly consider ourselves better and more important than others in many occasions. Where Is Our Faith, Especially When We Are In Our Life Storm? Jesus’ teaching comforted their hearts, and the young twelve disciples were attracted to Jesus. After this, Jesus talked about faith, and asked them build their faith on the solid ground of Jesus. Jesus gave a parable: “Anyone who listens to my teaching and follows it is wise, like a person who builds a house on solid rock. Tough the rain comes in torrents and the floodwaters rise and the winds beat against that house, it won’t collapse because it is built on bedrock. But anyone who hears my teaching and doesn’t obey it is foolish, like a person who builds a house on sand. 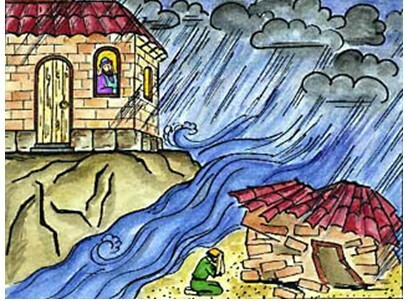 When the rains and floods come and the winds beat against that house, it will collapse with a mighty crash.” All of the disciples nodded. Jesus took the twelve disciples wherever He went. Jesus also healed the sick and showed miracles. Their faiths were growing steadily while being with Jesus. Jesus’ primary focus was to make them have a strong faith built on a solid rock of Jesus, which could not be swayed by anything on earth. He revealed the secret of truth about a faith by telling easy-to-remember parables – the parable of the sower, who scatters seeds. Some falls on along the path, on rocky places, among thorns, and on good soil. The last seed grows up and produces a crop thirty, sixty or even hundred times. Like the seed landed on a good soil, a faith in a believing heart multiplies. The parable of a lamp on a stand. Nobody puts a lamp under a stand, but on a stand so that people can see. Like a lamp, a real faith cannot be hidden, but plainly seen by people. The parable of the mustard seed, which is the smallest among all seeds, but it grows and becomes the largest of all garden plants, with such big branches that birds can perch in its a shade. 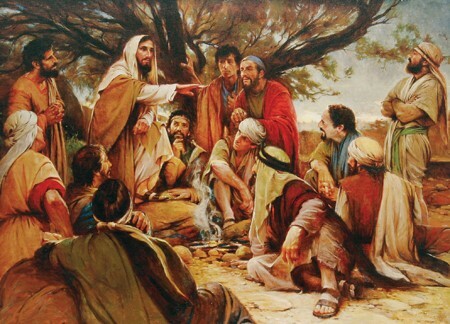 Jesus used many similar stories and illustrations to teach the followers as much as they could understand. In fact, in His public ministry he never taught without using parables; but afterward, when He was alone with His disciples, He explained everything to them. Jesus really cared for His twelve disciples. Surprisingly, in the storm, Jesus was sleeping. 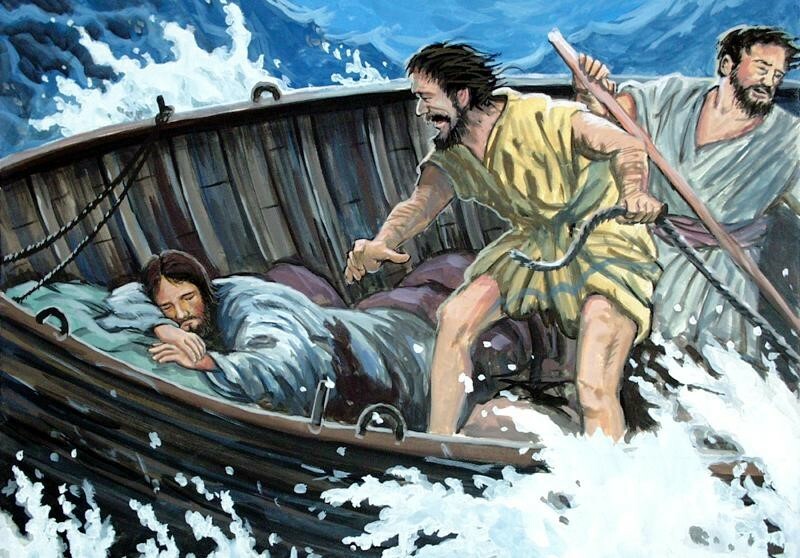 Initially, the disciples did not want to wake up Jesus, and they did their best to fight against the storm. 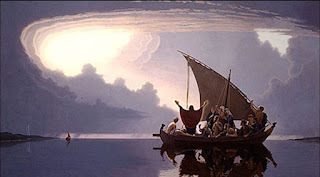 Among the twelve, Peter and Andrew were skillful fishermen who spent all their lives in the same water. They knew everything about the Sea of Galilee. They met similar storms before, and they were able to manage a couple of storms. 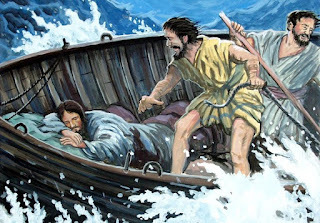 Then, they became very confident how to deal with those storms in the Sea of Galilee. However, the night was different. All of their knowledge, experiences and skills were of no use. The harder they tried, the worse the situation was. Finally, the water was coming into the boat. How about us? Where is our faith? Because we see and touch miracles or good things (to us), do we believe? If so, our faith is in fact not in us, but it is attached to the things that we see and touch. Or do we intellectually know of the faith, which is something greater than anything that we know. It is great to know something beyond us. 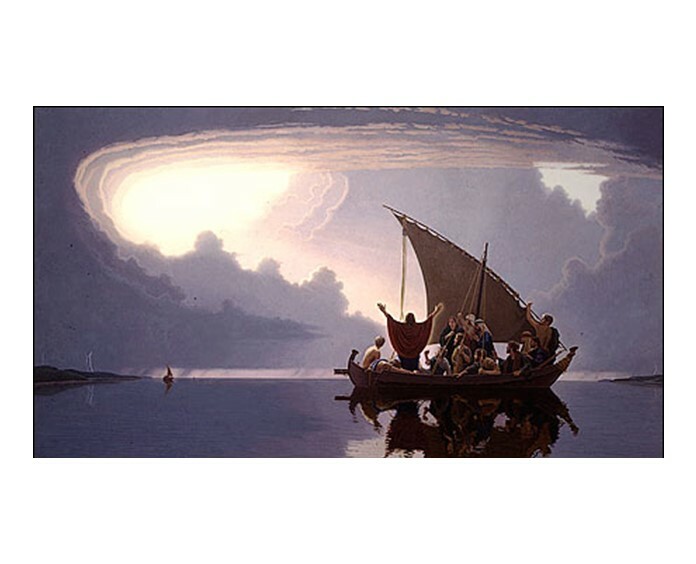 However, when a life storm hits us, can our intellectual understanding of a faith save us? No. Such a faith coexists with us in our brain, not in our heart. A true faith is not a knowledge nor an external evidence that we can see and touch. It resides in our heart. It grows like a seed falling on a good soil, and multiplies. 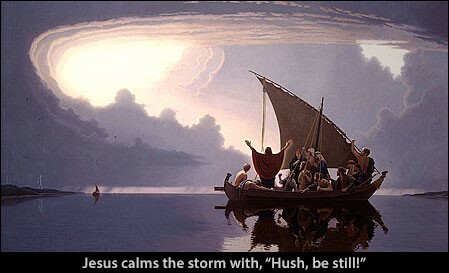 Even during a storm, like Jesus, if we have a solid faith in Jesus, we can be calm. Why? We are in the hand of the mighty God, who is our ever-loving Father. Our loving God, who did not spare his own Son, will surely stretch His mighty hand and hold tight even while we are going through our life storm. She believed her prayer was given to God, and God heard her prayer. God opened her womb, and gave her a male child, Samuel. (The meaning of Samuel is God has heard.) 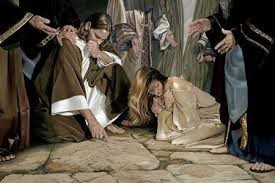 Yes, God heard her prayer out of her deepest part in heart – the contrite, authentic, earnest and God’s-help-seeking prayer with absolute trust on Him. 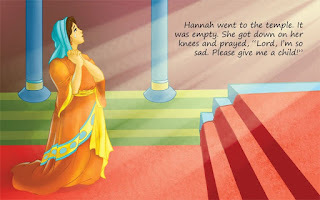 Surely, God answered her prayer, and Hannah experienced God, who was compassionate and full of mercy. She was in great joy, which she could not described in any words. As Hannah promised to God, she waited until her son was weaned. Then she brought her son, Samuel to God. She sacrificed to God a three-year-old bull for the sacrifice and a basket of flour. After the sacrifice, she took the boy to Eli, the priest. “Sir, do you remember me?” Hannah asked. “I am the woman who stood here several years ago praying to the LORD. I asked the LORD to give me this boy, and he has granted my request. Now I am giving him to the LORD, and he will belong to the LORD his whole life.” And Hannah, Samuel, and Elkanah, Samuel’s father, worshiped the LORD there, and left Samuel with Eli so that Samuel be with God. 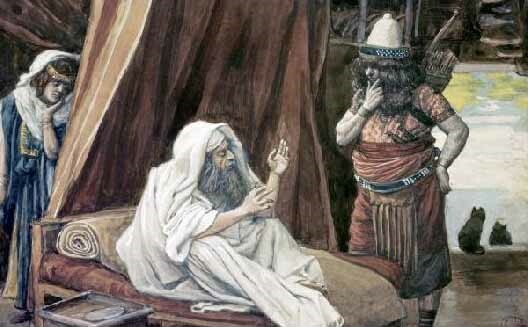 Samuel ministered before God under Eli the priest. He grew in the temple, and in favor of God and man also. Samuel became one of the most faithful prophets before God, who led the Israelites to God till a king was appointed. The Hannah’s earnest and contrite prayer out of her deepest part in heart was answered, which did not only lead to a great joy to Hannah, but also God’s blessing to the entire of people of Israel. This is the power of an earnest prayer of one person, Hannah. 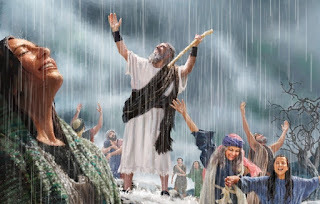 Elijah, one mere person, prayed to God for rain on the land of full of sins, God was gracious and full of mercy. 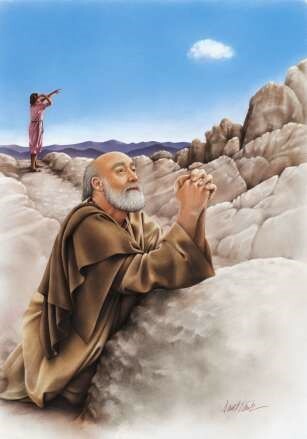 When Elijah earnestly pray to God with all of heart and mind, God heard and answered his prayer. There was no rain for 18 months. The sky was always blue, and nobody could see even one single cloud in the blue sky. The prayer of Elijah, one faithful person, was powerful and answered. Initially, one small cloud appeared against the blue sky. His servant spotted it over the horizon as shown in the figure. Then the sky was getting darker and darker, and the sky opened up and poured the much needed rain on the bone dry land. The entire people in Israel was in joy including Elijah and his servant.